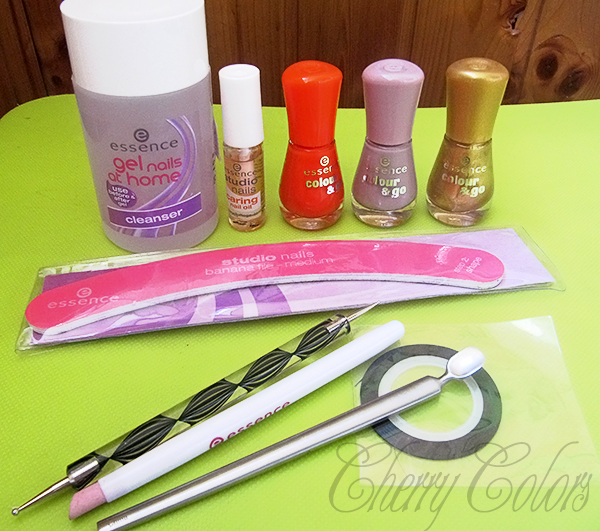 New in: August 2014 - Cherry Colors - Cosmetics Heaven! This month I saw that Essence had some sales in Muller, where everything that goes out of sale was marked down to 1€! And since I was looking at these products before I decided to buy them (like months before), I said to go for it. 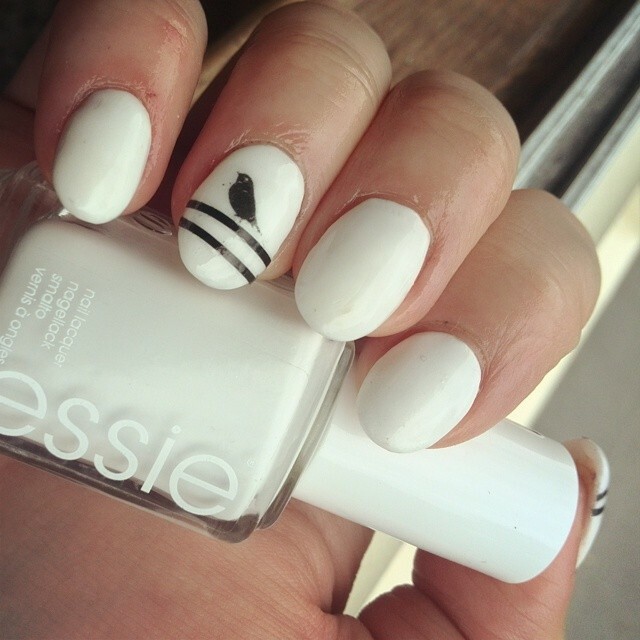 It was a Nail (art) oriented month. 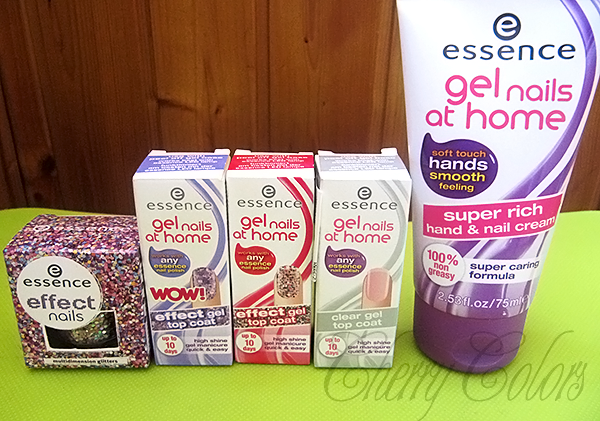 Gel nails at home cleanser (because it seems I drink these, they go so quickly! ), a cuticle oil (which is surprisingly good and I used already half of it), a banana nail file (nice quality, I started using them like nothing since I started doing acrylic and gel nails! ), three nail polishes (145, 168, 157), a cuticle pusher/remover tool. These are all items I am very pleased with, for now. 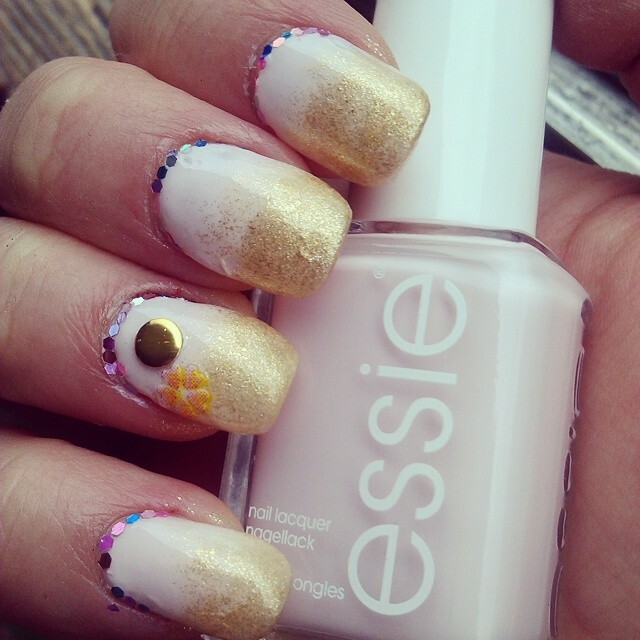 Especially the cuticle oil and the golden/bronze nail polish. 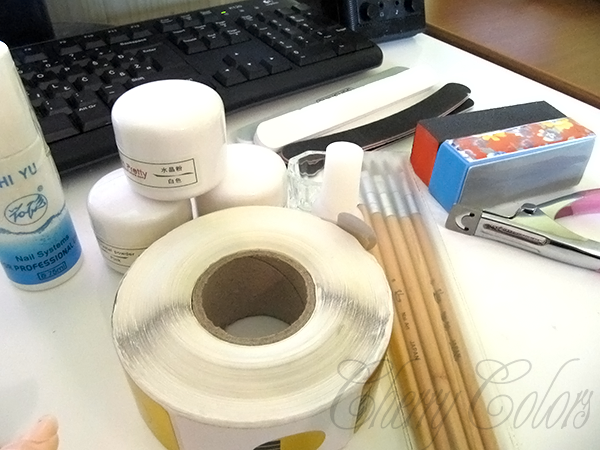 A double sided dotting tool that serves me well and some nail tape, which is expensive at 1€/pop, but I was lucky when my sister ordered a bunch of these tapes for me from Ebay! YAY!! (will show in the next post). A Finger's cuticle pusher/gel polish scraper which I love, love for pushing cuticles. It never uses up, as the mineral Essence pusher does. One little pot of glitter (that I use religiously since I bought it), two glitter gel top coats and a regular gel top coat. And of course my favorite hand cream so far - the extra moisturizing and rich hand cream by Essence. 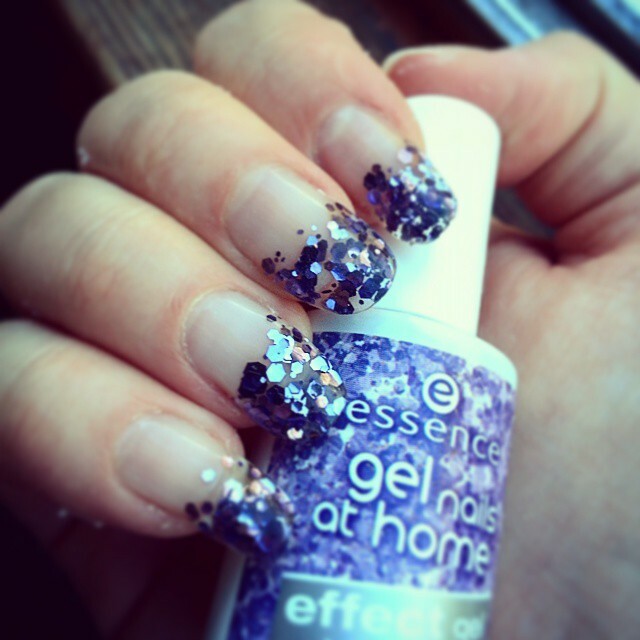 This is a picture of the two gel toppers, so you can see a quick preview of how the look :). And the lovely glitter (not gel) in action on the dots. And of course my gel manicure with the glitter purple topper. It is lovely! 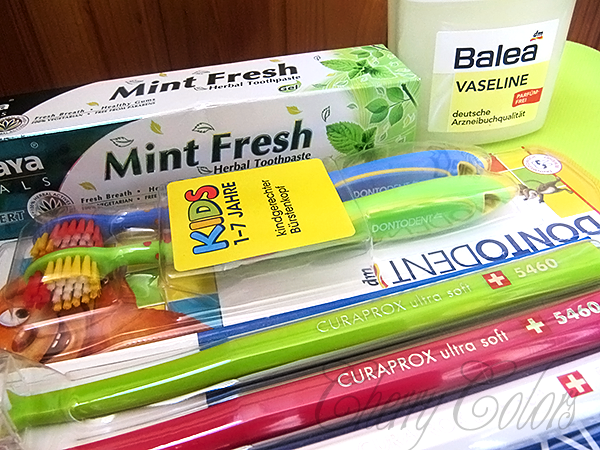 Like a new Himalaya Mint Fresh toothpaste, some vaseline, Kid's toothbrush (I wanted to try some new ones since the kid manages to destroy it in less than one month and they don't survive the 2nd-month cap when we usually change them), and some Curaprox toothbrushes. An anti-dandruff shampoo (I don't know why, but it just appeared and my scalp started to itch), which works wonders! 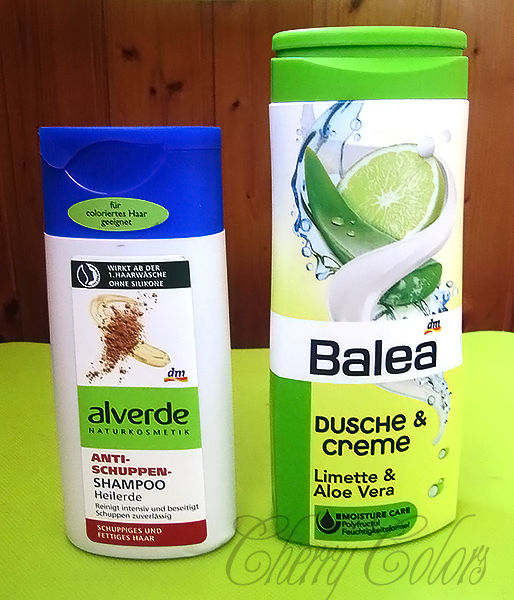 And a new Balea shower gel, of which I am a fan. They are cheap (1€) and don't irritate my skin. And my biggest purchase was a set to make acrylic nails. I bought it from BornPrettyStore and it is nice, but stinks as it should ;). Two extra pictures of my acrylic extensions. My very first try at acrylic nails came out OK looking, but too thick and wonky for my liking. 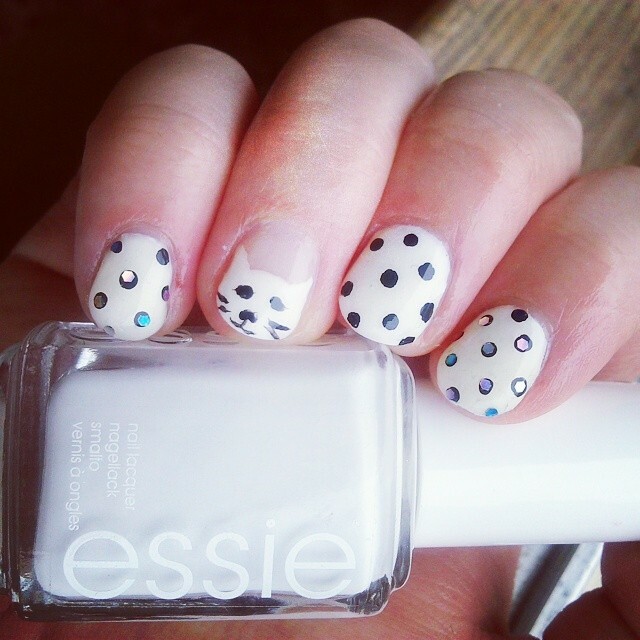 But I did like the nail polish/art combination. The second set of acrylics was round and white. Better looking! Okay, this was it for this month! What did you buy this month?